K660i, W380, W890i to be announced? Sony Ericsson is due to launch new mobile phones this evening. Two new Walkman phones - the K660i and W890i - are reportedly on the way, trying not to get lost amid this week's rising iPhone fervour. An online leak has more information on three new handsets set to be unveiled. The Sony Ericsson K660i will be a compact smartphone with HSDPA, quad-band GSM and EDGE capabilities, a 2-megapixel camera and FM radio, Cellpassion.com reported. The Sony Ericsson K660i will also offer web browsing in landscape mode, which makes it easier to fit more text onto a single page, as well as to jump to links or text boxes without using buttons or trackpads. The handset will ship before the end of the year. 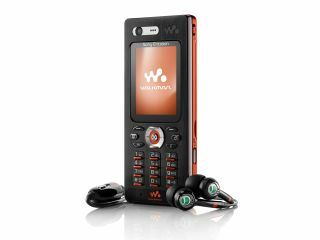 Next up, Sony Ericsson should take the wraps off the ultra-slim W890i, a beefed-up version of the W880i. Adding HSDPA to what is already an attractive package, the W890i also has a 3.2-megapixel camera and an improved Walkman music player and software. It's expected to launch before the end of the year too. Finally, we also expect the Sony Ericsson W380i to make an appearance. This handset adds a new gesture control mechanism, enabling you to control music playback in a similar way to the 'shake' control on current Walkman handsets. An upgrade to the current Sony Ericsson W300i, the handset is likely to include basic features such as a VGA camera and GSM/GPRS (2G) connectivity. We're going to the Sony Ericsson launch event later and will bring you all the gossip as we get it.